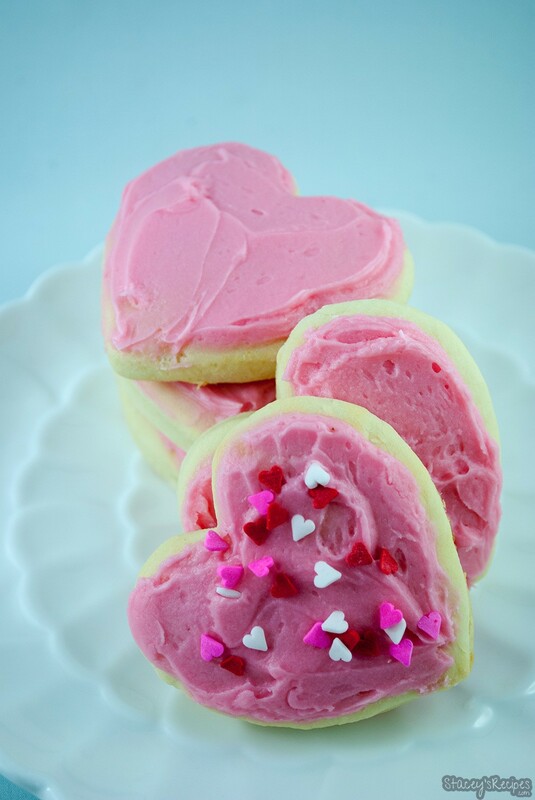 These soft baked valentines day sugar cookies are great for any occasion or holiday. If you’ve ever had Lofthouse sugar cookies from your local grocery store, you are going to love these. These are the next best thing to the store bought ones, and they don’t have any of the preservatives like the ones you buy from the store. I can’t even tell you where all of January went, I feel like time is just flying by. 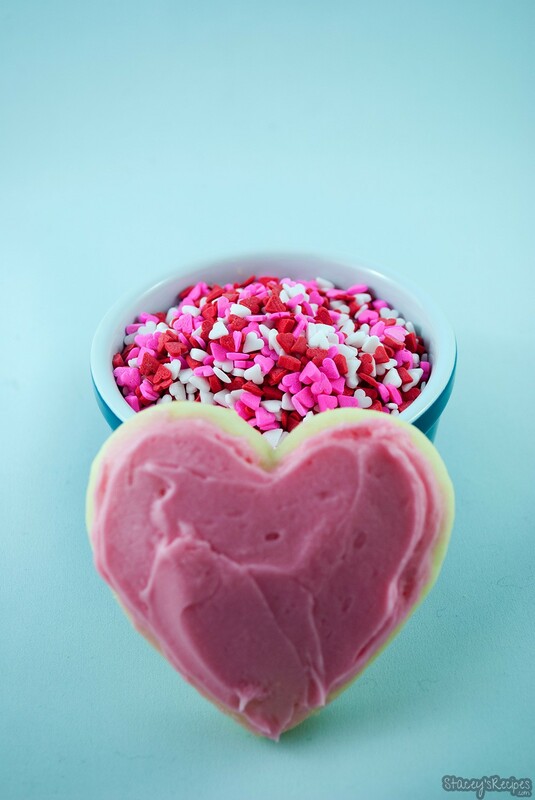 Valentines day is only 14 days away, and these cookies are perfect for class parties, or to share with your friends! 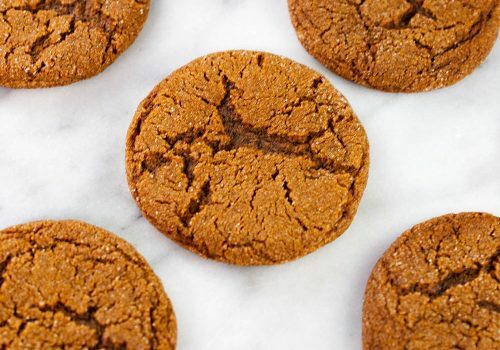 These cookies come together real easy, and although they have to chill for 2 hours, they are well worth it. I find this is the best time for me to actually get some things done around the house, as I don’t venture far, so I can start baking the cold chilled dough. These soft baked cookies are light and airy, and topped with a sweet, creamy frosting. I mean these are definitely not diet food by any means, but everyone needs a treat here and there right? 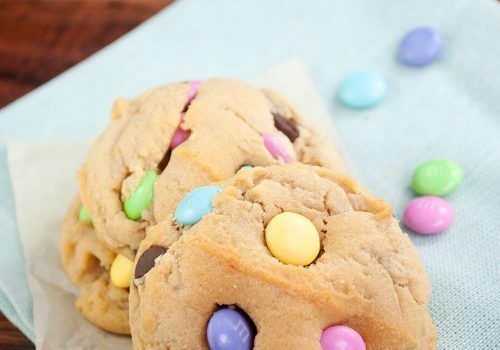 These cookies are a serious crowd pleaser. I couldn’t keep the guys away from these, they were taking them 2 -3 at a time. That’s how good they are! 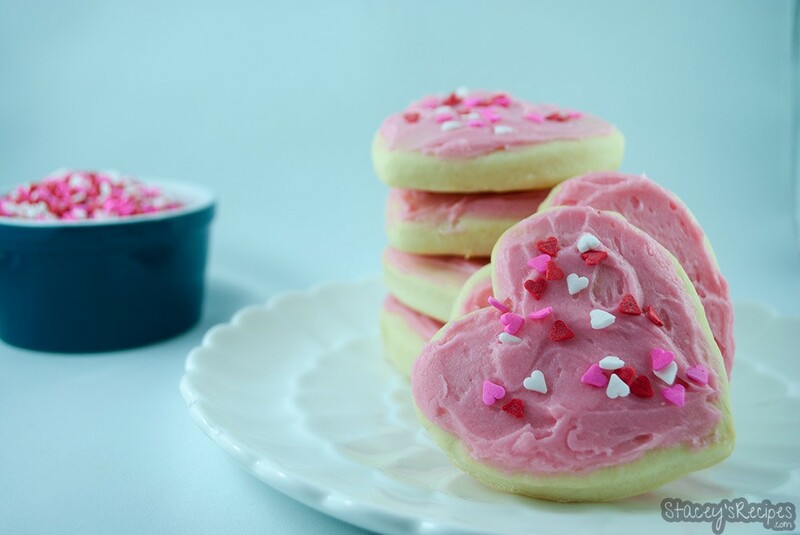 These are a great cookie to have little helpers, frosting and decorating is the best part! Get your glass of milk ready, you won’t be able to help yourself with these sweet treats! In you medium bowl combine your flour, baking soda, baking powder and salt. Using your stand or hand mixer beat your butter and sugar until light and fluffy. Beat in your eggs one at a time until fully mixed in. Beat in your sour cream and vanilla on a low speed until incorporated. On low speed slowly add in your dry ingredients until just combined - your dough will be sticky. Divide your dough into 2 sections and flatten into rectangles about 1 1/2" to 2" thick. Wrap in saran wrap and chill in the fridge for 2 hours or over night. Once your dough is chilled preheat your oven to 425 degrees, and line your baking sheet with silpat or parchment paper. Lightly flour the counter top and the top of the dough and roll your dough with a rolling pin until its 1/2" thick. Using a cookie cutter cut our your shapes and place on your baking sheet. Bake for 7 mins until slightly golden on the edges and immediately transfer to your wire cooling rack. 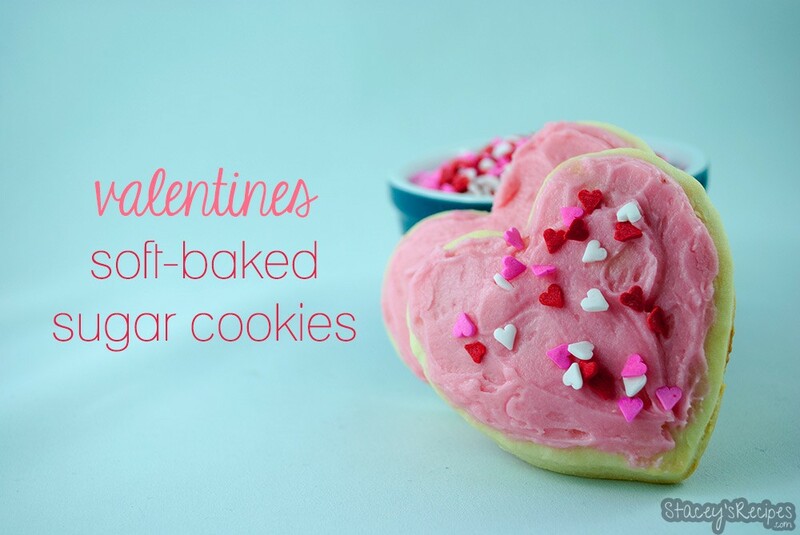 Let cookies completely cool before frosting. Beat your butter with your mixer until light and fluffy. Add in your vanilla and 2 cups of your powdered sugar. Add in the rest of your powdered sugar, your pinch of salt until all combined. If you want to add coloring, add in food coloring you get the color you want. 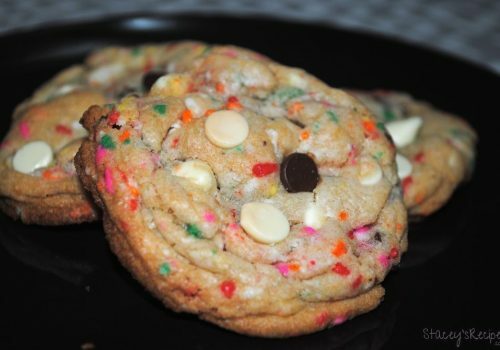 Frost your cooled cookies and decorate with sprinkles - optional. Allow your frosting to set and store in an air tight container for up to a week.